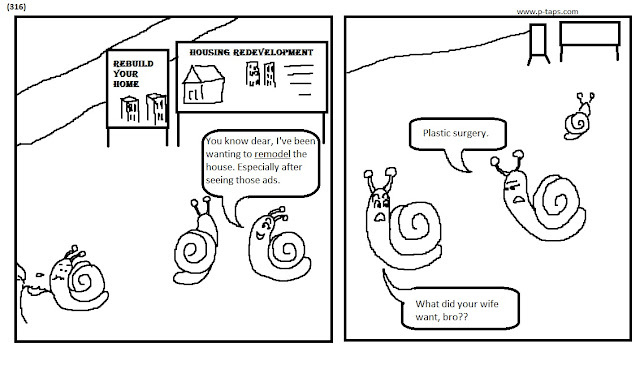 SNAIL WIFE - You know dear, I've been wanting to remodel the house. Especially after seeing those ads. SNAIL FRIEND - What did your wife want, bro?? Lol, I think you meant to type this comment on another post!